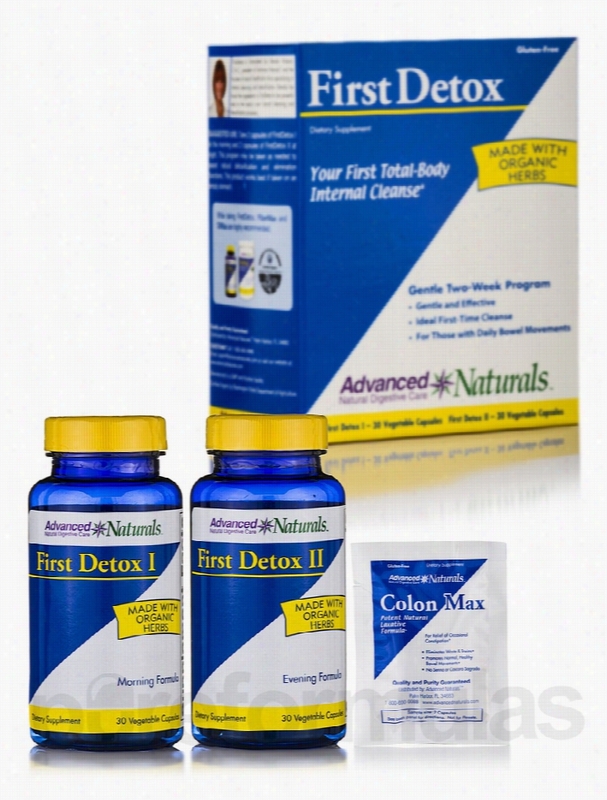 Advanced Naturals Detoxification - First Detox - 2-Part Kit. FirstDetox&trade; from Advanced Naturals&trade; is a blend of whole herbs that may help with the effective detoxification of the Body. This 2 part program is formulated for 15 days and is made up of 29 organic herbs. While it supports 7 channels of elimination&sbquo; it is so gentle that it can be used by a first timer or by someone who has not cleansed for a long time. FirstDetox I&sbquo; a morning formula&sbquo; contains the goodness of herbs such as Parsley&sbquo; Blessed Thistle&sbquo; Artichoke&sbquo; Dandelion leaf and more. It is believed that Parsley is very effective at flushing out excess fluids from the body and may support kidney functions. Many herbalists believe that the herb Blessed Thistle may act as a good diuretic to increase urine output. Artichoke present in this Advanced Naturals&trade; formulation may also work well to prevent fluid retention. FirstDetox II&sbquo; an evening formula&sbquo; contains herbs such as Flaxseed&sbquo; Buckthorn bark&sbquo; Rhubarb Root&sbquo; Marshmellow Root&sbquo; Triphala&sbquo; and more. Many herbalists believe that Triphala (a blend of three fruits) may be the most valuable herbal preparation. While improving liver functions&sbquo; it may work as a very good laxative. Many people believe that flaxseed&sbquo; as present in the evening formula of this Advanced Naturals&trade; supplement&sbquo; may improve certain facets of health. Rhubarb root present in this supplement may help with several areas of healthy digestion as well. Give your body the robust combination of all these essential herbs and help natural detoxification with FirstDetox&trade; from Advanced Naturals&trade;. These statements have not been evaluated by the Food and Drug Administration (FDA). These products are not meant to diagnoseÃ¢ÂÂ treat or cure any disease or medical condition. Please consult your doctor before starting any exercise or nutritional supplement program or before using these or any product during pregnancy or if you have a serious medical condition. 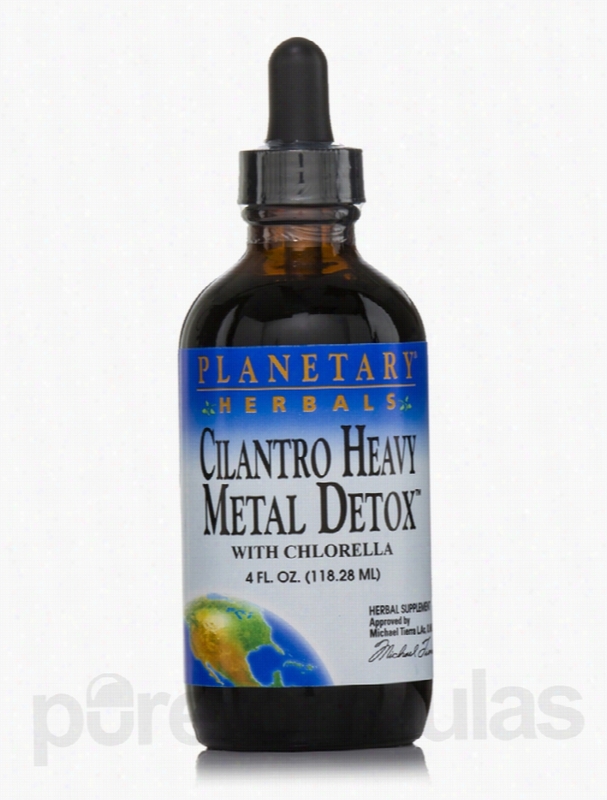 Planetary Herbals Cellular Support - Cilantro Heavy Metal Detox - 4. Cilantro Heavy Metal Detox&trade; 4 fl. oz (118.28 ml) from Planetary Herbals may help clear toxins from the body. Excessive&rsquo; levels of heavy metals (such as Lead&sbquo; Mercury&sbquo; Cadmium and Aluminum) in the body may potentially degrade areas of health. The detrimental effects of such toxic metals include irregular functioning of the organs&sbquo; depleting Immune health&sbquo; and cell damage. This detoxifier from Planetary Herbals has been formulated to stick on to heavy toxic metals in the body and clear them out. The ingredients used in this supplement are Cilantro and Chlorella. It is believed that these active ingredients act as potential cleansing agents. Natural Cilantro is a well known antiseptic and carminative. The herb is found to be rich in phenolic flavonoid anti-oxidants like Quercitin. Chlorella (fresh-water algae)&sbquo; is a famous traditional food supplement in Asia. Many people have said that the plant may help in improving immune health and in maintaining blood lipid balance. This detoxifier supplement may also offer antioxidant support while improving cellular health. Order Cilantro Heavy Metal Detox&trade; 4 fl. Oz (118.28 ml) from PureFormulas today!. These statements have not been evaluated by the Food and Drug Administration (FDA). These products are not meant to diagnoseÃ¢ÂÂ treat or cure any disease or medical condition. Please consult your doctor before starting any exercise or nutritional supplement program or before using these or any product during pregnancy or if you have a serious medical condition. 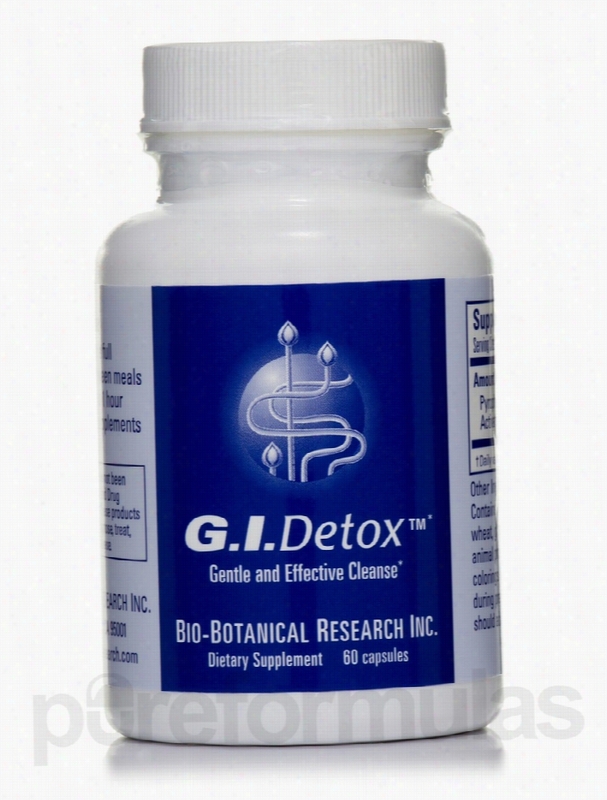 Bio-Botanical Research Inc Detoxification - G.I. Detox - 60. If you&rsquo;re looking for a supplement that could potentially work to cleanse your gastrointestinal tract&sbquo; you might want to try Bio-Botanical Research&rsquo;s G.I. Detox&trade;. First&sbquo; each capsule of G.I. Detox&trade; provides over 500 milligrams of pyrophyllite clay. Notably&sbquo; the electrolytes in this clay contain free ions that might serve as antioxidants; as a result&sbquo; this Bio-Botanical Research supplement may work to protect your cells from free radical damage. Moreover&sbquo; pyrophyllite clay&rsquo;s negative electro-magnetic charge means that it may be able to draw toxins out of your tissues and organs. In addition&sbquo; the activated charcoal in G.I. Detox&trade; could potentially act to bind with toxins and other unwanted substances in your gut; this makes them easier to remove from your body. According to proponents of alternative medicine&sbquo; activated charcoal may also help address certain symptoms associated with minor gastrointestinal discomfort&sbquo; such as mild gas or bloating. Each bottle of G.I. Detox&trade; by Bio-Botanical Research contains 60 capsules. These statements have not been evaluated by the Food and Drug Administration (FDA). These products are not meant to diagnoseÃ¢ÂÂ treat or cure any disease or medical condition. Please consult your doctor before starting any exercise or Nutritional supplement program or before using these or any product during pregnancy or if you have a serious medical condition. 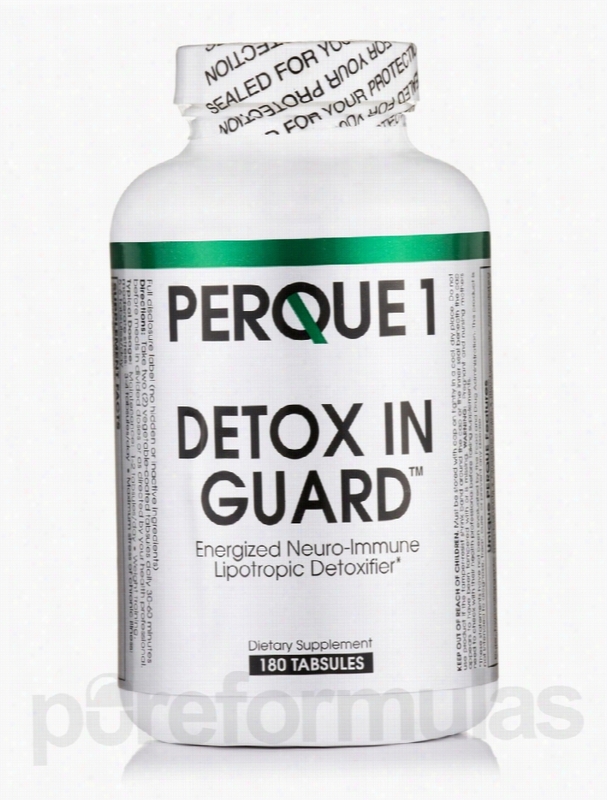 Perque Detoxification - PERQUE1 Detox IN Guard - 180 Tabsules. Follow practitioner's advice. These statements have not been evaluated by the Food and Drug Administration (FDA). These Products are not meant to diagnoseÃ¢ÂÂ treat or cure any disease or medical condition. Please consult your doctor before starting any exercise or nutritional supplement program or before using these or any product during pregnancy or if you have a serious medical condition. Planetary Herbals Detoxification - Wasabi Detox 200 mg - 60 Tablets. 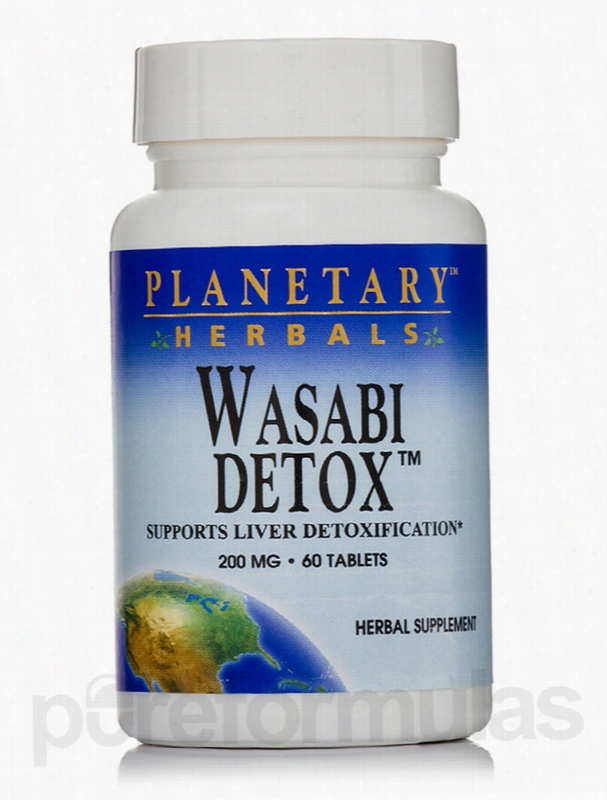 Wasabi Detox&trade; 200 mg 60 Tablets from Planetary Herbals may support healthy liver Detoxification. The Wasabia japonica or wasabi plant is found commonly in the mountains of Japan and has been studied by Japanese herbalists since the 10th century. Wasabi is used as a condiment in Japanese cuisine and is also considered a powerful detoxification agent. Wasabi is part of the cruciferae family that includes broccoli&sbquo; horseradish&sbquo; Brussels sprouts&sbquo; cabbage&sbquo; cauliflower&sbquo; and kale. All these vegetable are known for their detoxifying properties&sbquo; and wasabi is the most potent among them. The liver is in charge of the detoxification process in the body and it cleanses the by-products of digestion and other harmful substances. Wasabi&sbquo; as present in the supplement from Planetary Herbals&sbquo; forms long-chain isothiocyanates when digested and help stimulate the enzymes that carry out the Phase II of detoxification. Isothiocyanates are formed when the wasabi cells are broken down during digestion. They then become available to help remove toxic substances that are stored in the liver's fatty tissues. The supplement also provides an optimum amount of calcium for good bone&sbquo; hair&sbquo; and nail health. Wasabi Detox&trade; 200 mg 60 Tablets from Planetary Herbals may also be useful for respiratory problems like a cough&sbquo; cold&sbquo; or sinus pressure. These statements have not been evaluated by the Food and Drug Administration (FDA). These products are not meant to diagnoseÃ¢ÂÂ treat or cure any disease or medical condition. Please consult your doctor before starting any exercise or nutritional supplement program or before using these or any product during pregnancy or if you have a serious medical condition. Planetary Herbals Detoxification - Wasabi Detox 200 mg - 30 Tablets. 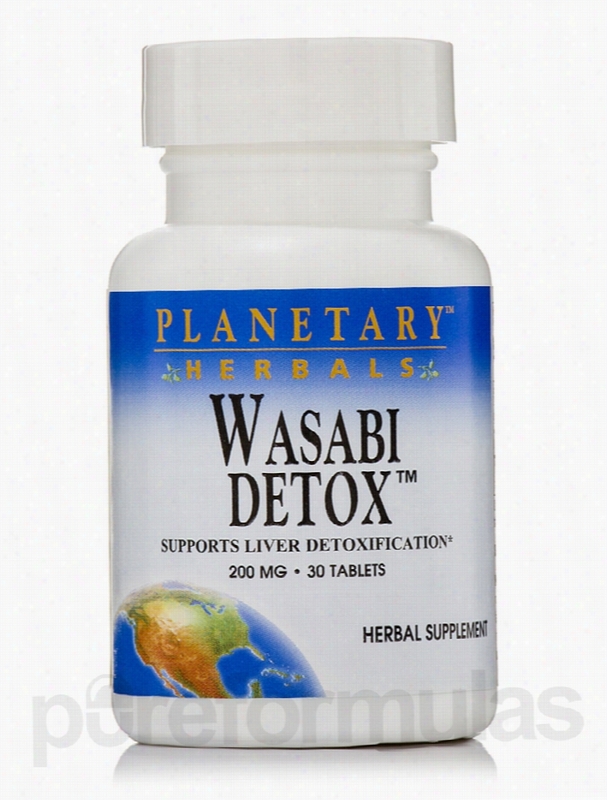 Wasabi Detox&trade; 200 mg 30 Tablets from Planetary Herbals might support the liver&rsquo;s detoxification process. The Wasabia japonica or wasabi plant is commonly found in the mountains of Japan and is known for its detoxifying properties. Wasabi has been widely researched by Japanese herbalists since the 10th century and is a popular condiment in Japanese cuisine. Wasabi is part of the cruciferae family that includes broccoli&sbquo; horseradish&sbquo; Brussels sprouts&sbquo; cabbage&sbquo; cauliflower&sbquo; and kale. Even though all these vegetables are known for their detoxifying benefits&sbquo; wasabi is the most potent among them all. The supplement may also be useful for respiratory problems like a cough&sbquo; cold&sbquo; or sinus pressure. The liver is in charge of the detoxification process and it cleanses the by-products of digestion. The wasabi extract present in the supplement from Planetary Herbals forms long-chain isothiocyanates when digested and helps stimulate the enzymes that carry out the Phase II of detoxification. Isothiocyanates are formed when the wasabi cells are broken down during digestion. They then become available to help remove toxic substances that are stored in the liver's fatty tissues. An optimum amount of calcium is present in Wasabi Detox&trade; 200 mg 30 Tablets from Planetary Herbals to help you maintain hair&sbquo; nail&sbquo; and bone Health. These statements have not been evaluated by the Food and Drug Administration (FDA). These products are not meant to diagnoseÃ¢ÂÂ treat or cure any disease or medical condition. Please consult your doctor before starting any exercise or nutritional supplement program or before using these or any product during pregnancy or if you have a serious medical condition. Skin Authority Deep Detox Ritual Mask 6 oz. This detoxifying blend of Moroccan Rhassoul, Kaolin, and Montmorillonite clays, helps combat daily exposure to thousands of pollutants and toxins that slowly accumulate in the skin. Infused with the essential extracts of Rose, Jasmine, and Ylang Ylang, this mask penetrates deeply and lifts away toxins, while stimulating, polishing, and purifying the skin. This blend of sea kelp, Aloe Vera Extract, Vitamin E, and protective humectants encourages perspiration to release toxins from the skin and organ systems and bind with the clay, so they can be washed away.Benefits:Can be used on both face and body.Restores essential vitamins, minerals and antioxidants.Increases skin clarity.Suitable for all skin types. 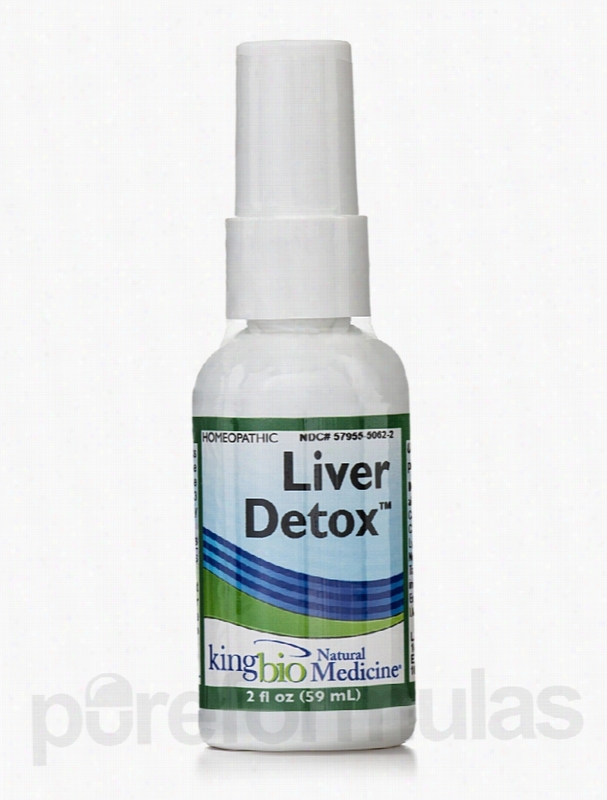 King Bio Detoxification - Liver Detox - 2 fl. oz (59 ml). Liver Detox&trade; 2 fl. oz. Liver Detox&trade; from King Bio features ingredients that may aid in supporting the body&rsquo;s natural detoxification process. Liver Detox&trade; may potentially help improve the Health and functions of the liver. Taraxacum Official (Dandelion) may boost the body&rsquo;s natural defenses. Bryonia Alba may relieve stomach pain and bowel irregularity. Berberis Vulgaris may possibly aid in proper digestion. Some studies show that Chelidonium Majus eases bowel irregularity&sbquo; upset stomach&sbquo; and other digestive problems. Natrum Sulphuricum promotes urination&sbquo; which may possibly encourage the release of harmful toxins from the body. These statements have not been evaluated by the Food and Drug Administration (FDA). These products are not meant to diagnoseÃ¢ÂÂ treat or cure any disease or medical condition. Please consult your doctor before starting any exercise or nutritional supplement program or before using these or any product during pregnancy or if you have a serious medical condition. 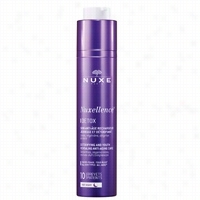 NUXE Nuxellence Detox 1.5 oz. Peter Thomas Roth Cucumber DeTox Foaming Cleanser 6.7 oz. This gentle, refreshing, detoxifying cleanser and Makeup remover with cucumber extracts helps to nourish with Vitamins A, C, E, pro Vitamin B5, Sugar Maple & Sugar Cane Extracts, Hyaluronic Acid and Aloe. Cucumber extracts help refresh, reduce the appearance of puffiness and redness while natural humectants draw water from the air to increase skin's moisture levels. Gently-yet effectively cleanses, decongests and sweeps away dirt, grime, makeup and other impurities while nourishing skin. This âgood for your skin" cleanser with nourishing vitamins A, C, E and pro vitamin B5 is ideal for daily use and leaves skin residue-free, soft, clean, detoxified and radiant. Soap-free, oil-free, sulfate-free and alcohol-free. Extra gentle, for all skin types.